WELCOME TO MY LIFE'S WORK. I help cultivate vitality and wellbeing through coaching. I create & implement wellness strategies for companies. I design opportunities for elevated social interaction. 2.0 Toronto’s first event of the year! 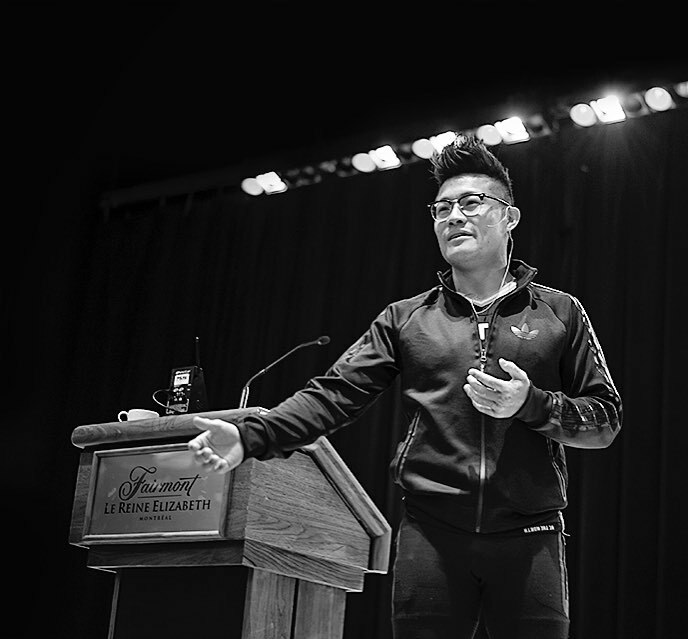 2.0 Toronto collaborated with The Running Physio to curate a Mindshare Experience where professionals from a variety of industries came together to present to each other their latest IQ and EQ innovations. A peer to peer coaching event built on a platform of connection, education, vitality, and variety, with the common denominator of care. Check out this crazy cool video from our latest Mindshare Event. It was shot in HD 360 VR. So it’s like pulling up a seat at the event and getting up close and personal with the group. Our signature event called The Mindshare is an IQ & EQ exchange amongst professionals in health, wellness, and fitness. It's like a round table ted talks where the curation is at an all time high: from handpicking the guestlist, to the itinerary, to the gift bags, to the ambiance. Here's 5 minutes of raw footage highlights. Be sure to adjust the little gear icon for viewing settings. Scroll around to see the entire room! Excited to share more of this content. Really cool things happening in the 2.0 Universe. Stay tuned. Wow! Being featured on podcasts is always such an honour! I feel extremely grateful and privileged to be asked to share my knowledge, experience, and energy with such talented hosts and intelligent listeners. Ps. I’m lined up to do a few more already! We dive into the life and lifestyle of a fitpreneur. Ranging from personal training, music, love, relationships, mental health, career, and the ups, the downs, and the in betweens. *Great for anyone in the industry* Thank you to host Jerome Ferguson. We chat my origin story and humble beginnings. We unpack my running career, training, and the 100 mile race win this past summer. We also touch on emotional intelligence and building community. *Great for anyone more curious about me and my story! * Thank you to hosts Sylvie Tetrault and Adrian Vilaca. I'm experimenting with Audio and will be recording two series, one series contains audio versions of past written blogs called "Mr. 2.0's Audio Blog", the other series contains interviews with industry peers called "Coach's Corner". I will upload them bi-monthly. The interviews are very real, raw, and unedited. The audio blogs are low production recordings through my phone. The intention is to simply experiment with another information vehicle. Listen while commuting, cooking, or chillaxing. Enjoy! Click below screenshots to gain free access to my latest Spotify music playlists found in my classes. This is next level curation. Networking for the mind, body, and spirit. Peer to peer coaching for personal growth and professional development. At each holistic workshop, we aim to combine movement and mindset coaching. We call it our 'work-out then work-in' method. This year, our work is inspired by The School of Life's mission to better understand emotional intelligence for self-improvement. Featuring JAMIE SNOW, with special guest Michelle Rothstein (leadership coaching). Featuring JOSH ADAMSON, with special guest Courtney Laurie (nutrition). Held at Lift CrossFit in Corktown. Featuring PALUNA SANTAMARIA, with special guest Andre Talbot (meditation) and Bolt Fresh Bar. Featuring BEN DUSSAULT, with special guests Josh Reichmann (meditation) and James Forsythe (farmer's market). Held at The Canary District. Fitness successes come in many forms. In this industry, success is dominated by quantitative measures—tangible results and milestones in weight, strength, distance and so on. Even though I respect the quantitatives to success (i.e. you can't manage what you can't measure), I believe successes can also be qualitatively displayed—without numbers, without measurement. It’s not just about what’s on paper, but what’s in the pen. It’s those special moments—the intangibles—the unseen forces that I strive to help my clients and class participants achieve. I take an athletic approach to optimizing your lifestyle. Freedom through fitness. Mind over muscle. Tough love. Perpetual becoming. Sign up to receive my free monthly newsletter and event updates.